Based on the latest proven science, HERBALIFE24 is designed for everyone – whether you’re a gentle jogger, gym junkie or an elite athlete, HERBALIFE24 has all the products you need to help you prepare, train and recover. 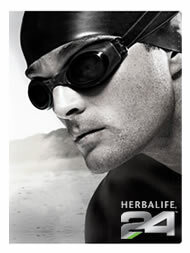 All HERBALIFE24 products are Prohibited Substance Tested to ensure your confidence in our product. GOOD FOR TOP ATHLETES......GOOD FOR YOU!